Every day is coffee day for me but, for real, September 29th is actually International Coffee Day. 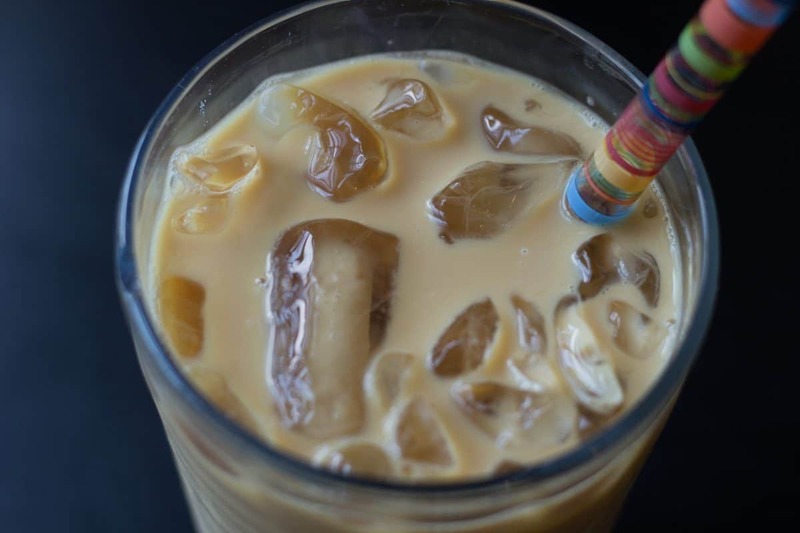 To celebrate, let me share one of my homemade favorites – Vietnamese Iced Coffee. 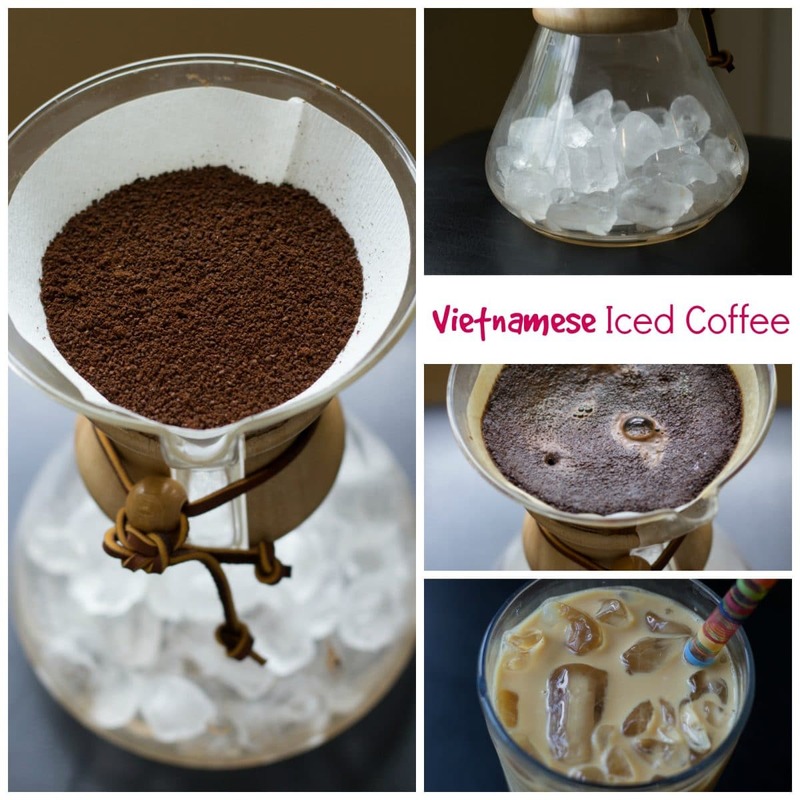 Vietnamese Iced Coffee – Start With A Pour Over Coffee! Whenever I go to my favorite Vietnamese restaurant for lunch, I always order a Vietnamese Iced Coffee. YUM. This week it is still over 80 degrees here, so I have been working on making an easy pour over cold brew coffee using my Chemex and then turning that into my homemade Vietnamese Iced Coffee. SO GOOD!! 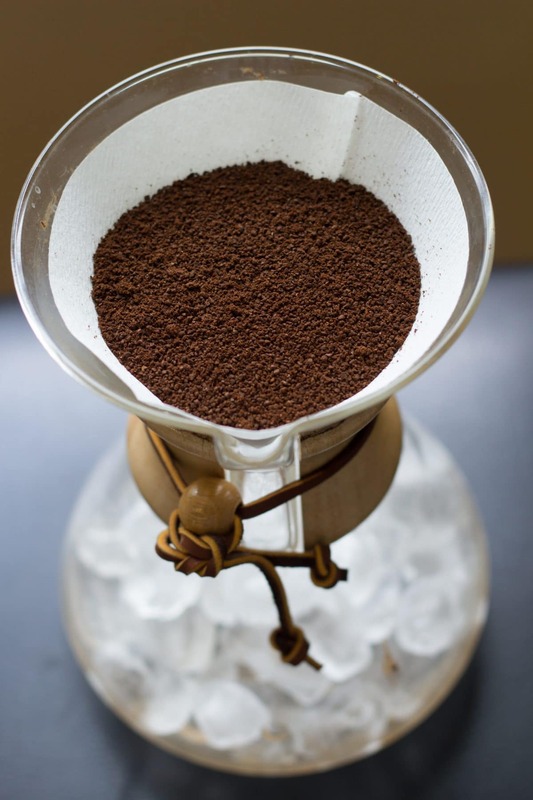 To make quick cold brew coffee that doesn’t seem weak … I put ice cubes in the bottom of my chemex and ground my coffee very fine. I used more coffee beans than normal so the coffee wouldn’t be diluted by the ice. 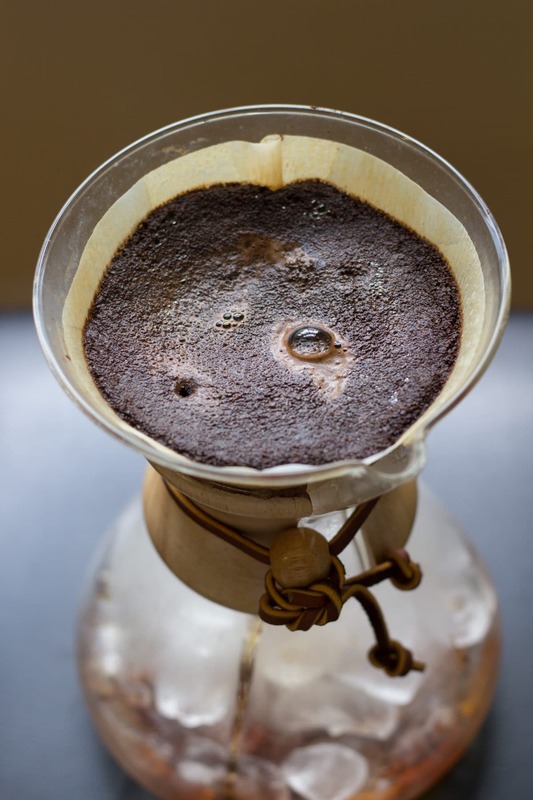 Just like a normal pourover coffee, you will want to gradually add the almost boiling water. Blue Bottle Coffee recommends 50 grams of coffee and 25 ounces of water for their pour overs. That sounds like a lovely ratio, so if you are someone who really needs this to be an exact science, I would go with that – but add more coffee if you are using your chemex to make cold brew. 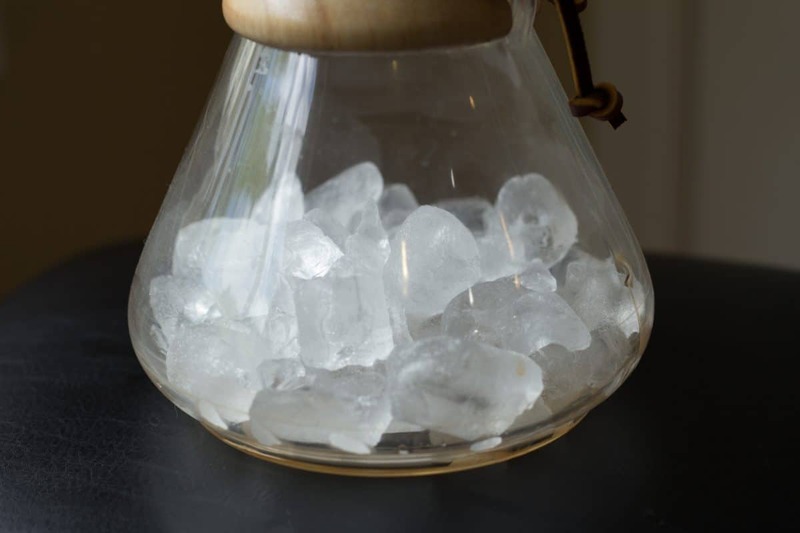 Ice cubes in the bottom of the chemex! It’s kind of cheating, but kind of genius. To make the Vietnamese Iced Coffee … Start with a tall glass half full of ice, pour one generous tablespoon sweetened condensed milk, add cream or half and half, and then fill with your cold brew coffee. Stir. Enjoy. DELICIOUS!